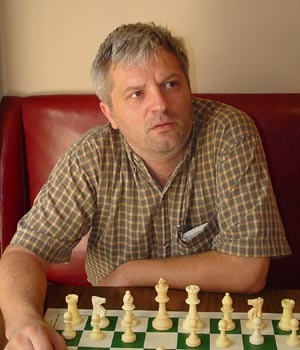 The Polish Grandmaster Alex Wojtkiewicz is a true ironman of chess. He truly loves to play and can play in an event in Las Vegas one day and have no problem flying to Europe the next day to play an event that evening. His strong opening knowledge makes such situations easy for him, as he is so well versed in the positions that he usually gets, that he can play without much sleep or right after landing in a new country. He loves to play quiet, technical positions for white�..favoring the Catalan and the Fiancheto variations against the KID and the Grunfeld. With the black pieces he is a master of the Najdorf defense and has recently taken a liking to the Accelerated Dragons. Alex�s technical skill is tremendous as if he gets an edge it is usually lights out, however it is possible to confuse him and land some blows if the position becomes very complicated. As of October 2004, Alex is ranked number 24 in the USA.